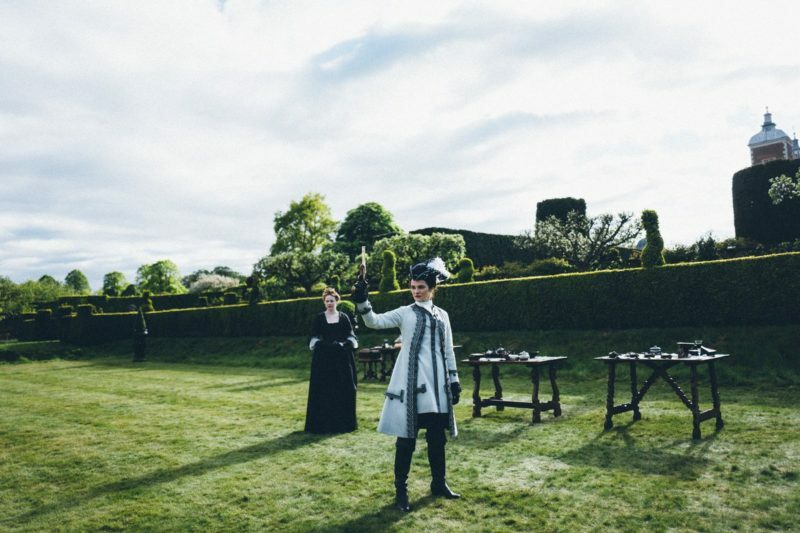 Oliva Colman, Emma Stone and Rachel Weisz star in “The Favourite.” Photo Credit: Fox Searchlight Pictures. Every year it seems there are several costume dramas that feature aristocracy, romance and palace intrigue. The latest drama, The Favourite checks all of those boxes, but that is where the similarities end. 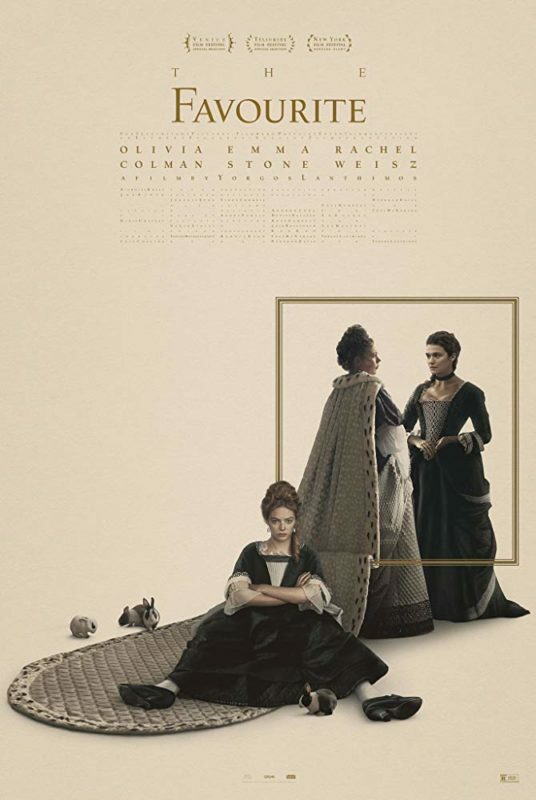 Directed by Yorgos Lanthimos (The Lobster, 2015), this modern-style historical drama set in 18th century Britain, is a humorous and piercing look at the court of Queen Ann and two cousins vying to be the Queen’s confidante and more. With 10 Oscar nominations, the film has certainly been a critical success, although it may be an acquired taste for some who expected the traditional historical drama. The film opens with Queen Ann (Olivia Colman, Murder on the Orient Express, 2017) and her closest advisor, Sarah Churchill, the Duchess of Marlboro, (Rachael Weisz, Disobedience, 2017) talking in private in front of the Queen’s 17 rabbits (more on that later). After giving a speech, the Queen shows Sarah a palace that she plans to give her (which will be the future home of Winston Churchill) to reward her husband’s role in winning the war against the French. Sarah, who is keener on the state of affairs, counsels the queen that a palace is an expense they cannot afford and informs the queen that the war isn’t over. At this point, it is not entirely clear who is in command between the two of them, but it’s obvious from the extravagant gift to Sarah that these two have a deep personal relationship. Entering this world is Sarah’s younger cousin Abigail (Emma Stone, Battle of the Sexes, 2017). Abigail, who arrives at the castle down on her luck, literally covered in mud, asks Sarah for a job. After some initial hazing as a maid, Abigail, begins to improve her station at court through guile and skill, even gaining the attention of the Queen. Meanwhile, Sarah, wary of her increasingly ambitious cousin, is bogged down with management of the war but having to contend with the Tory Party, led by Lord Harley (Nicholas Hoult, Sand Castle, 2017), who oppose the war mainly because of the tax hikes it requires. The Queen, who is caught between the machinations of Sarah and Abigail, is also dealing with chronic health issues and the emotional weight of losing 17 children in her life. She remembers each of her lost children with her 17 pet rabbits. 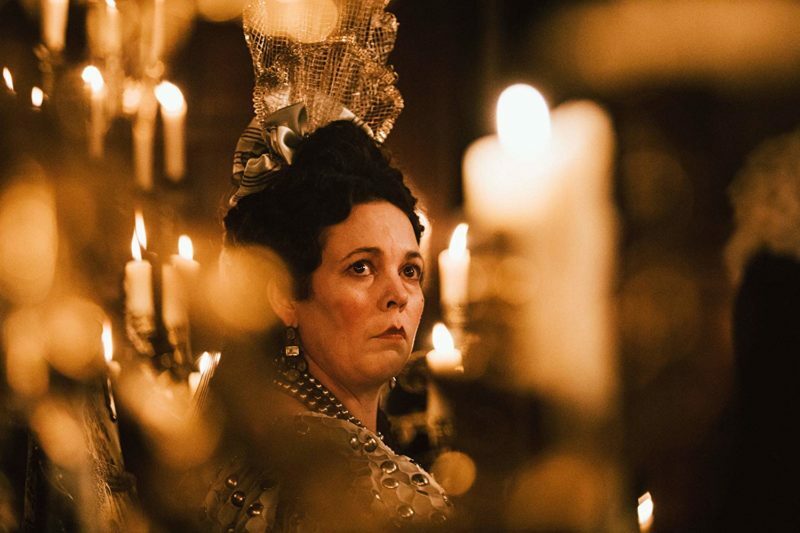 The Favourite is inspired by true events in the life of Queen Anne and her advisors, Sarah Churchill and Abigail Basham. The screenwriters have taken some obvious liberties with the story – most notably interjecting lesbian themes – but the general history is accurate. Within that template, the writing team infused the story with extremely clever dialogue and plenty of dark humor that feels more modern than historical. Armed with a strong script, the three main actresses are terrific in their roles, especially Rachel Weisz and Olivia Colman. Weisz is a natural as the tough and controlling Sarah Churchill and Colman as the unstable queen. Nicholas Hoult, is also solid in his few scenes as the cunning and duplicitous Lord Harley. Lanthimos, who has steadily gained critical praise with such indie hits as The Lobster and The Killing of a Sacred Deer, is excellent behind the camera. Lanthimos, is masterful in his scene staging and use of light to fill the screen within such huge rooms, yet focus the attention only on the few actors with speaking lines. That said, the opulent set design is also noteworthy. It is an Academy Award nominee for Best Production Design and it would not be surprising to see this film win. Despite the strong acting and direction, this film simply will not be for everyone, especially those who long for a more conventional period piece sans dark humor and vulgar language. Bottom Line: Oliva Colman, Emma Stone and Rachel Weisz are at the top of their games in The Favourite. With all three actors nominated for Academy Awards, it will be interesting to see who is the true favourite. The film features dark, unexpected humor, incredible cinematography and memorable costume and production design. It is not for mass audiences, however. They will either love it or hate it depending on their period piece preferences.